Some cognitive conditions that affect the elderly can cause legal problems if not addressed timely and properly. Should a family member show signs of memory loss, early onset Alzheimer's, or dementia - relatives can take a proactive approach and encourage family to being legal planning immediately. Waiting to plan might result in the elderly person's incapacitation, and then it might be too late for them to execute legal documents independently. Early planning helps prevent time-consuming and stressful guardianship proceedings, asset loss, and delayed medical treatments. Our elder law attorneys in Chapel Hill prepared a checklist for individuals who are taking the first steps in updating or creating a legal plan for a loved one experiencing cognitive decline. 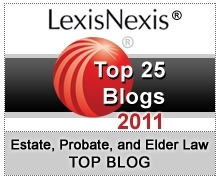 Learn more about starting Alzheimer's legal planning.